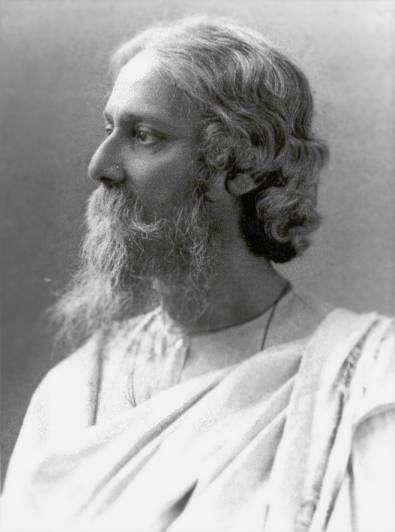 In his mind and in his writings Rabindranath Tagore is very much a sufi (mystic lover of God). Many of his devotional songs can be very inspiring for the sufi mind. This song is an example of such Divine Love. The original piece is in Bangla. I tried with my weak effort to render it in english. The song is really sweet in Bangla. At first glance it might seem simply love song for lover, but in its deeper meaning there is something more mystical. O my Wanderer of Neverland. Come and cover my heart and soul. Sun, moon or starts somehow lost meaning to me. No treasure I want, but Thee. Coming as inspirations in my soul. for every drop of my tears. come in secret and cover my heart and soul.